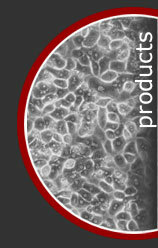 ZenBio is proud to offer collagen I coated Tissue Culture ware. Collagen is one of the more abundant components of the extracellular matrix proteins and the major constituent that gives strength to connective tissue and found in dermis, bone, ligament and tendons. The EZROLL Dispenser is the EZ way to store and dispense absorbent bench liner. Just mount the EZROLL to any door, wall or secure surface and you instantly have a clean, sturdy and ergonomic place to store and dispense your absorbent bench liner. No more hunting or reaching for dusty rolls on the floor or closet, just pull the length you need, cut and go! Fits rolls up to 26" wide x 20" diameter.